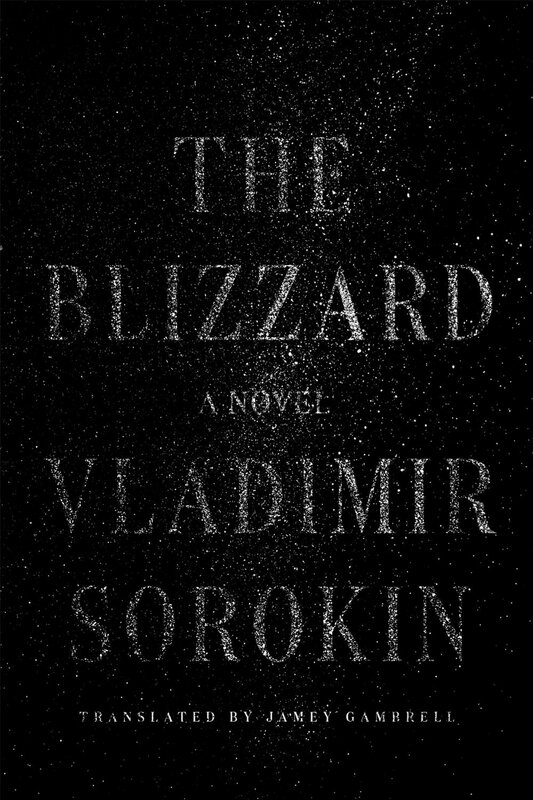 Vladimir Sorokin’s The Blizzard is a strange and slight diversion meant to recalibrate a reader’s literary expectations. The novel opens somewhere in the realm of a Doctor Zhivago snowstorm: Doctor Platon Ilich needs to desperately get to the rural village of Dolgoye to address a medical epidemic that plagues its residents. Somehow, the dead in Dolgoye have come to life, and Platon Ilich’s antidote is the only thing that can cure them. He meets a backwoods deliveryman named Crouper, who speaks in a forced, farmland slang (“we ain’t agin’ it, yur honor” is among the worst of his many exchanges); for a handful of rubles, he agrees to take Platon Ilich to Dolgoye, and in a torrent of expository, interrobanged dialogue, they set off on Crouper’s sled. Already what began as a 19th century Cossack tale has leapt towards something closer to The Walking Dead or 30 Days of Night; while perplexing to place in a timeline, The Blizzard is thoroughly modern in its yearning for blockbuster action. The novel is heavily driven by its dialogue and Sorokin could easily convert its minimal prose into a compelling film. That is, if The Blizzard weren’t so weird. Crouper’s sled is slyly translated as a “sledmobile” – this is one of the many linguistic oddities that Sorokin and translator Jamey Gambrell sneak into the novel to manipulate their readers’ confidence. They rely on readers to assume they understand what’s going on by using familiar words or scenes that aren’t quite right, only to dizzy them with a new, confidently surreal logic. Crouper’s “sledmobile” is not a typical sleigh but is actually pulled by fifty miniature horses, each “no bigger than a partridge,” positioned over a “drive belt.” When “the muscles of their small hindquarters rippled, the horses’ yokes creaked, the hooves scraped against the drive belt, and it began to turn, turn, turn,” we can only ride along and see what strange fate Sorokin has for us. Here The Blizzard begins to feel like Samuel Beckett by way of Terry Gilliam. It’s clear that Sorokin’s not interested in following through with his zombies-in-Dolgoye plot, but would rather leave Platon Ilich in a tent getting high on pyramid. There’s something remarkable that can be said at this point in the novel, about how Sorokin has tried to show his readers a new approach to traditional and contemporary literary tropes, but these ideas don’t quite work wrapped in the mantle of a strange existential novel. 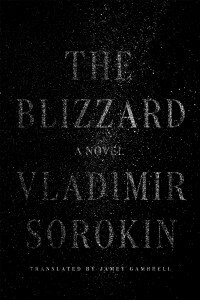 Despite the promise of excitement and Sorokin’s twist of delaying that gratification, The Blizzard leaves a staggering page count of filler to shovel through to reach, or ultimately decide against, these final destinations.